Last week Andy Rooney died. 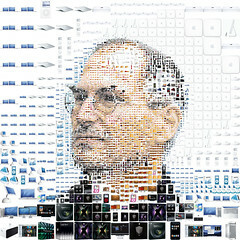 One month ago Steve Jobs died. Both were thought leaders who said that life is full of choices. They both recognized that as we get older, there is a shortage of time to make our own choices. While they were very different, they were both visionaries. Double Visionaries. Andy was a problem identifier. Steve was a problem solver. While I didn’t know either personally, I felt a personal connection. Each had vision. Each saw the world through their own lenses. Every morning I ask myself: what if? what’s next? what’s possible? They helped me to realize that I needed to add one more question. Why not now? Thank you Andy. Thank you Steve. Thank you for your double vision. I can see more clearly now.